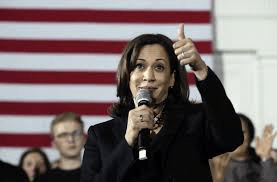 The Harris campaign seems to be the best of the 2020 Democratic effort…. An they are on the ground in media sensation Beto O’Rourke’s home state…..
California and Texas (The majority of delegates) both have their primary votes on the same day a year from now…. Harris and her team think they can win a significant share of Texas delegates by focusing on the Houston and Dallas areas. They pointed to Harris’ advocacy for Dreamers in the Senate as an advantage with Latino voters and noted that she will hold her first campaign rally in Texas at one of the nation’s largest historically black colleges, a choice reflecting her priorities as a candidate. More than half of the delegates up for grabs in the Democratic nomination contest will be decided by Super Tuesday states. That makes Texas a must stop for serious contenders. At the same time, like California, the sheer size of the state requires major resources and a creative approach to compete. Finding top campaign talent in the GOP-dominated state isn’t a given, but Harris’ campaign is well situated on that front…..
Of Texas’ 228 pledged delegates, 149 will be allocated to Texas’ 31 state Senate districts — a difference from most other states that distribute their delegates by congressional district. Those districts have been packed with Democrats to allow Republicans to control more legislative seats, thereby decreasing the number of truly blue districts. But with neighboring seats covering the suburbs turning away from Republicans, Democrats will have a chance to campaign in more places that hug the borders of Houston and Dallas-Fort Worth-Arlington, said Texas Democratic strategist Matt Angle of the Lone Star Project. The remaining 79 delegates are statewide, and candidates will need to meet a 15 percent threshold to secure them both statewide and at the district level.